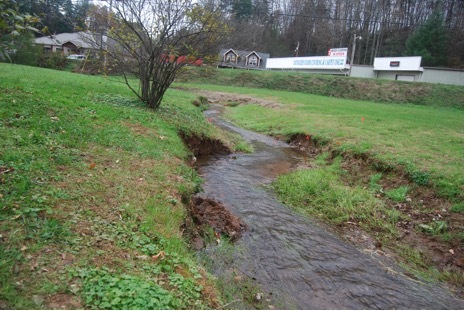 Crawford Branch is often regarded as the most degraded tributary to the Little Tennessee River. Franklin Memorial Park is located on West Main Street and is owned by the Town of Franklin. 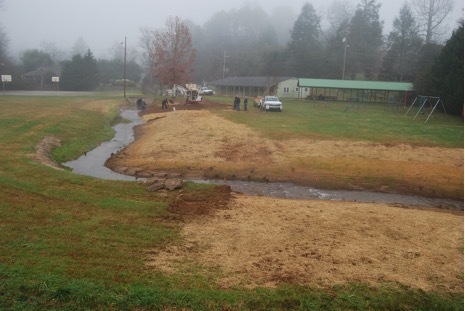 The Park includes approximately 580 linear feet of Crawford Branch, within a highly visible area which receives heavy public use. The riparian (streamside) area within the park is almost exclusively devoid of woody vegetation, and as a result the banks along much of the stream are unstable and contribute significant sediment to the stream during storm events.